Winston is active in dispute resolution work in the Singapore courts and international arbitrations. 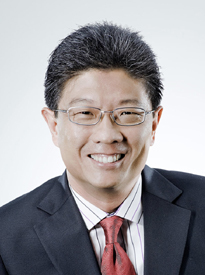 Winston also teaches the Law of Marine Insurance at the Faculty of Law, National University of Singapore as an Adjunct Associate Professor, and is the Editor of Marine Insurance, Halsbury’s Laws of Singapore. Winston has extensive experience in a wide variety of shipping related work ranging from marine insurance, ship sale and purchase, ship finance, casualty work, ship construction and repair, structured finance, commodities and charterparty disputes to shipping fraud cases. He is the preferred counsel for banks and financial institutions, both local and international, when it comes to ‘work-outs’ (insolvency, re-structuring and mortgage enforcement) – having led the development of judicial direct sales of ships, both singly and in a fleet, arrested in Singapore to specific buyers instead of via the traditional Sheriff’s public auctions. Winston acted in the worldwide enforcement by HSH Nordbank AG against the Karahasan fleet of vessels, which was hotly contested and thus followed closely by the international shipping industry. The matter led to a change in Turkish law on arrests of Turkish-flagged vessels by foreign Courts. In the context of the United Nations Sanctions against the Islamic Republic of Iran, Winston acted for a syndicate of banks (with Credit Agricole Corporate and Investment Bank acting as the security agent) in the enforcement of mortgages against and arrests of 3 vessels belonging to the Islamic Republic of Iran Shipping Lines (“IRISL”). The Singapore Admiralty Court being the first in the world to effect arrests of IRISL vessels, the matter attracted worldwide attention and was closely followed by the Office of Foreign Assets Control, US, and the Attorney-General’s Chambers of Singapore. More recently, the crash of oil prices through 2014 and 2015, and the consequent global slow-down in the oil & gas and shipping industries, led to a number of casualties in the Offshore and Marine industry where even listed companies were not spared. The Singapore Courts appointed judicial managers to attempt to rehabilitate 2 such listed entities and Winston is involved in both where issues relating to vessels and their operation are concerned. Winston is advising the joint and several judicial managers of Swiber Holdings Limited (“SHL”) and Swiber Offshore Construction Pte Ltd (“SOC”) in the judicial management of the two companies, which operated more than 50 specialist vessels. This is one of the most significant and high profile judicial management cases in recent years. SHL was one of the most prominent companies in the Offshore and Marine industry listed on the Singapore Stock Exchange, with 40 subsidiaries and related entities spanning multiple jurisdictions, including Singapore, India, Mexico, the United Kingdom, Malaysia, Indonesia, Netherlands, Belgium, Mauritius, and the British Virgin Islands (collectively, the “Swiber Group”). The Swiber Group was a leading global Engineering, Procurement, Installation and Construction (“EPIC”) services provider offering a full spectrum of offshore marine oil and gas services. In particular, Swiber was named as one of “Asia’s 200 Best Under A Billion” by Forbes in 2008, and its total book asset value exceeded US$2 billion in 2015. Winston is also advising and acting for the judicial managers of Swissco Holdings Ltd in relation to issues arising from the judicial management of the Swissco group. The judicial managers were formerly the Independent Financial Advisors to Swissco, when Swissco sought to re-structure itself by proposing a scheme of arrangement with its creditors. The Swissco Group operated more than 100 vessels and its total liabilities were in excess of US$300 million. As various companies in both the Swiber and Swissco groups were engaged in litigation and arbitration, not only was a review of all such matters undertaken with a view to achieving the rehabilitation of these companies, Winston had to also assist the judicial managers to achieve a better realisation of the groups’ assets, many of which were subject to mortgages in favour of financial institutions, both Singapore and offshore. The syndicate of bank lenders in the successful global restructuring of Danish shipping group Torm A/S and its Singapore subsidiary Torm Singapore Pte Ltd, with debts of about US$2 billion. The Torm Group is one of the largest transporters of refined oil products in the world with a fleet of about 75 to 80 vessels. United Overseas Bank in the enforcement of naval mortgages securing loans totaling some S$200 million against 11 vessels owned and operated by Searights, a Singapore bunkering company. The 11 bunker tankers and barges were successfully sold together as a fleet. DnB Norbank and a number of unsecured creditors in the re-structuring of the PT Berlian Laju Tanker Group. This is the largest Indonesian liquid cargo shipping company, owning a fleet of about 50 vessels. It operates a number of vessels under sale and lease back arrangements, in which we now advise the lenders. In January 2012, with total debt of almost US$2 billion, it suddenly announced a standstill on debt repayments and recently obtained court protection from creditor action in Singapore and the US against its assets. The financial institutions and lenders to Mercator Lines (Singapore) Limited (“Mercator”), a company listed on the Singapore Stock Exchange, in Mercator’s efforts to re-organise and re-structure its debt not only with the lenders, but also trade creditors in a proposed scheme of arrangement. Given the depressed state of the market in the shipping industry, these efforts proved to be futile and Mercator was eventually placed under judicial management instead. With re-structuring efforts having failed, all of the vessels in Mercator’s fleet were exposed to arrests by creditors and we advised on available options and assisted the lenders in the various modes of enforcement against their security by way of vessel mortgages over the bulk of the Mercator’s fleet, with a view towards maximum recovery. This was achieved with only two vessels in the fleet being arrested. Keppel Shipyard with claims totalling S$55 million in the re-structuring of the PT Arpeni Pratama Ocean Lines Group (large Indonesian ship owners and operators, with total debt of about US$590 million). Creditors with claims exceeding US$30 million in the re-structuring of the Glory Wealth Group (total debt of about US$900 million). Alpha Bank SA in the US$54 million loan default by the borrowers/owners of the MV “SEA URCHIN”, in which Singapore jurisprudence in the specific aspect of judicial sale of ships was further developed. When arrested in Singapore, there was a US$40 million cargo of soya bean onboard. To avoid the cargo interests having to bear at least US$3 million in cargo discharge and transshipment costs, all parties involved (mortgage bank, charterers and cargo owners) collaborated and found a buyer who was prepared to pay slightly above market value for the vessel, with cargo onboard, in a judicial sale and thereafter sail to destination to discharge the cargo. The Court, however, rejected the parties’ application for direct sale of the vessel to the buyer, and delivered its grounds of decision in The SEA URCHIN  SGHC 24. Norsk Tillitsmann ASA, bond-trustee in the issue by PSOS Finance Ltd of US$150 million senior secured callable bonds, secured by, amongst others, a first priority mortgage over the Offshore Drilling Unit “Petrosaudi Saturn”. PSOS Finance is part of the Petrosaudi Group. Bondholders and their trustee, Norsk Tillitsmann AS. The borrowers, the Petromena, Petroprod and Petrojack Groups, defaulted under various loan agreements which were secured by assignments of a number of rig – construction contracts and mortgages over FPSO’s. The value of the claim exceeds US$1 billion. Grains and Industrial Products Trading Pte Ltd (“GRIPT”), a subsidiary of Bunge S.A., in their successful claim under a letter of credit against the issuing bank, Indian Bank. The credit amount is approximately US$10 million. We succeeded at trial, and again before the Court of Appeal, who upheld GRIPT’s claim against Indian Bank. The Court of Appeal’s decision in Grains and Industrial Products Trading Pte Ltd v Bank of India and another  SGCA 32, which must now be regarded as the leading decision on letters of credit, was handed down by a panel which includes two Chief Justices, one former (Chan Sek Keong SJ) and one current (Sundaresh Menon CJ). This notable decision examines the relationship and obligations between beneficiary, issuing bank and the nominated bank under the UCP 600, and covers novel points of law relating to letters of credit. Den Norske Bank in the successful foreclosure of a loan against the Norbulk fleet of 6 vessels in Singapore and in Hong Kong. We successfully applied for direct judicial sales to named buyers. The entire enforcement process from the arrest of the first vessel to the sale, judgment and payment out of all vessels took only four months. The value of the claim was US$7.8 million. Aozora Bank and Tokyo Star Bank Limited against three vessels owned by the Eastwind Group which went bust in 2009, bringing a mortgage enforcement action in which we successfully arrested and sold the vessels. Judgment debt obtained in the sums of about US$23 million each for 2 vessels and of about US$58 million for the remaining vessel. Proceedings pursuant to Chapter 7, of Title 11 of the United States Code were commenced by the vessel owners in the US. An offshore marine service provider, Simgood Pte Ltd, in a claim that was heard by the Singapore High Court for the delivery up of an offshore support vessel (“OSV”). The trial, spanning 10 days, was heard by the High Court and involved multiple parties and concerned complex issues of conspiracy between companies in Malaysia, Singapore and China all directed by the same controlling interest, lifting of the corporate veil between these companies and allegations of switching of hulls under construction. Although the value of the OSV was US$8 million, it was just one of a number of vessels under order, with Simgood having paid a total of US$60 million. Credit Agricole Corporate and Investment Bank. The successful enforcement of mortgages against 3 vessels (MV “SAHAND”, “SABALAN” and “TUCHAL”) belonging to the Islamic Republic of Iran Shipping Lines (“IRISL”). Value of claim was approximately US$200 million. HSH Nordbank AG. The successful foreclosure of loans against the Karahasan fleet of vessels. As a result of this case, the Turkish laws was changed. Value of claim was US$65 million. The Governor and Company of the Bank of Scotland. The successful foreclosure of a loan against a fleet of 4 vessels. The Courts ruled in banks’ favor when the interested parties challenged the direct judicial sale. Value of the claim was US$7.7 million. DeBis Financial Services Inc. The successful foreclosure of a loan against the “FANTASY”, where Banks’ application for direct sale to a named buyer was unsuccessfully challenged by the other parties. Value of the claim was US$3.8 million. Kreditanstalt fur Wiederaufbau. The successful foreclosure of a loan against a fleet of 10 vessels. Value of the claim was US$218.0 million. Capital Bank plc. The successful foreclosure of a loan against the "LAURENTIAN". Successfully applied for direct judicial sale of the Vessel. Value of loan was US$22 million. International Factors (Singapore) Pte Ltd. The successful foreclosure of a loan against the Econ fleet of vessels; successfully applied for an unprecedented direct sale of 6 Vessels as a fleet to a named buyer. Value of claim is S$1.3 million. United Overseas Bank. The successful foreclosure of loans against the Famco fleet of passenger boats; successfully applied for judicial sale of 13 boats as a fleet. Value of claim was S$1.0 million. DBS Bank. The borrowers, Ignition Point Pte Ltd, defaulted under the loan facilities and proposed a Scheme of Arrangement, which was approved by creditors and sanctioned by the Court but eventually fell through. Successful enforcement of mortgages against the MV “Sea Kite 1” and “Sea Eagle”. Value of claim was US$30 million. Armada (Singapore) Pte Ltd. Advised the Company on debt re-structuring. Proposed a Scheme of Arrangement which was not approved by Creditors. Bondholders and their Trustee, Norsk Tillitsmann AS. The borrowers, the Petromena, Petroprod and Petrojack Groups, defaulted under various Loan Agreements which were secured by assignments of a number of rig – construction contracts and mortgages over FPSO’s. Value of claim exceeds US$1 billion.